Thank you to all those who made this year’s Race for Kids our best yet! Whether you ran, walked, volunteered or fundraised, you made a difference for Cleveland’s kids! Thanks to your support, we raised over $215,000 — a new record! 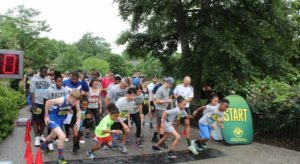 Special thank you to title sponsor Medical Mutual, platinum sponsor Bridgestone Credit Division and all of our Race for Kids sponsors for making the event possible!